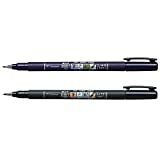 i Click 'view all' to instantly compare this good deal with offers on other top pens. UDTEE 24Pc Green Pretty Cute Long Grass/Leaf Shape Rollerball Pens is currently selling at $7.62, approximately $0.06 lower than average, giving a potential saving of $0.06 right now. With a lowest price of $7.61 and an average of $7.68 it is selling on the low end of its usual range. Price volatility is 1.04% (meaning it does not change often), so the price should stay low for a while. Right now this product is a recommended 'good deal'. 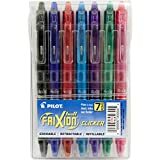 Compare the current price, savings (in dollars & percent) and Buy Ratings for the top Pens that are closely related to UDTEE 24Pc Green Pretty Cute Long Grass/Leaf Shape Rollerball Pens. Here is how UDTEE 24Pc Green Pretty Cute Long Grass/Leaf Shape Rollerball Pens compares with other leading Pens. 100% Brand New & High Quality.Ideal to clip your book papers when reading. 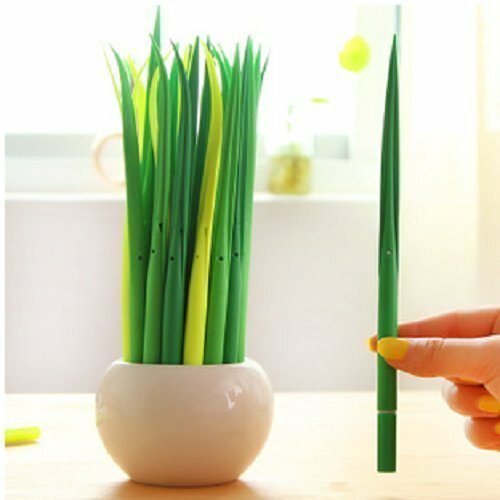 FeaturesPackage include:24pcs Long Grass Shaped Rollerball PensApproximate size:22cmA touch of green to nourish our upcoming dry heartIt makes your working table very colorful, fresh and adding good mood to the room and everyone around.